Trystan Hart Battles for the Lead! October 9th, 2017: Extreme dust and technical single track stood no chance against these Northern California racers for round 9 of the AMA Kenda/SRT West Hare Scrambles Championship Series. 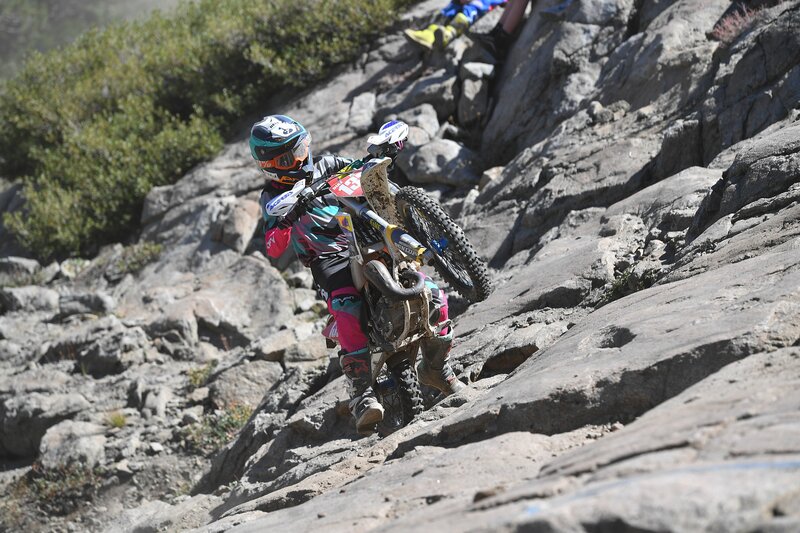 Battles between Kacy Martinez and Sharon Mowell, and Max Gerston and Trystan Hart kept spectators on their toes as they watched from the toughest sections like The Slab, Dirty Jersey, and Spectator Hill where rocks seemed to host the biggest challenge. District 36 and Garrahan Off-Road Training once again did not disappoint while hosting the Donner Hare Scramble. 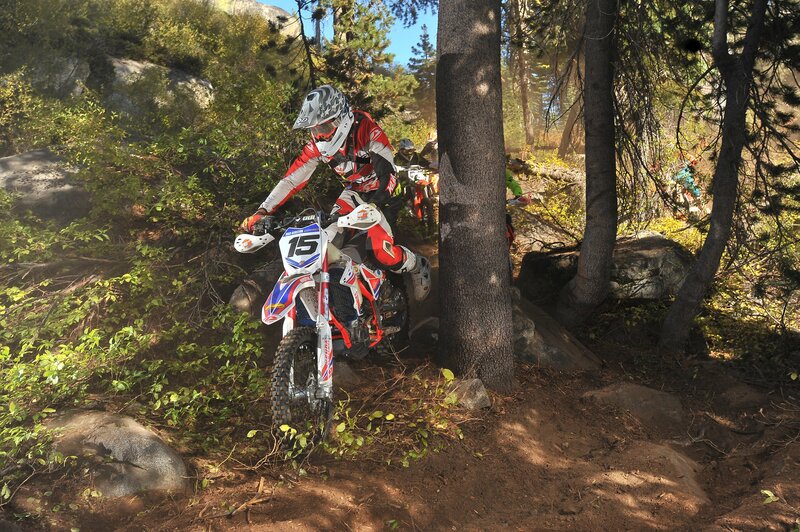 YOUTH: Youth racing kicked off the race weekend at 8:00 am Saturday morning with the 50cc race. Bradley Petterson stole the lead and took first in the 50cc class with Brendan Ferrie in 2nd and Jackson Adams in 3rd. 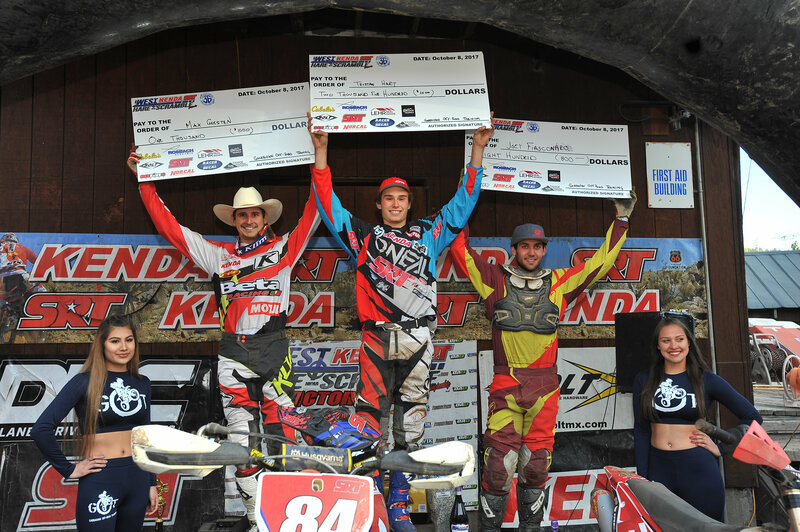 The second AMA Kenda/SRT West Hare Scrambles Championship Series youth race was C Big Wheel, 85cc Jr., Jr. Girls, and 65cc. Jesse Meyer was the first to see the checkered flag and 1st in the C Big Wheel class. Vaughn Omally placed 2nd overall, with Lane Forbes behind in 3rd overall. Lane Forbes also took 1st in the 65cc class, locking in the lead from the first lap. WOMEN: The first race of the day on Sunday saw the Women’s A/B/C classes. Riders like FMF KTM Factory rider Kacy Martinez lined up on the start line with Sharon Mowell, Kaitlyn Jacobs, and Brianna Vinsenhaler for a line up of talented competition! The Women racers faced hardly a challenge it seemed while climbing sections like The Slab. Martinez quickly stole the lead and held her place for the first two laps, with Sharon Mowell creeping up on her each lap. Sharon Mowell battled it out with Martinez on the course; but when Vinsenhaler joined the ladies, Mowell was pushed down to third. 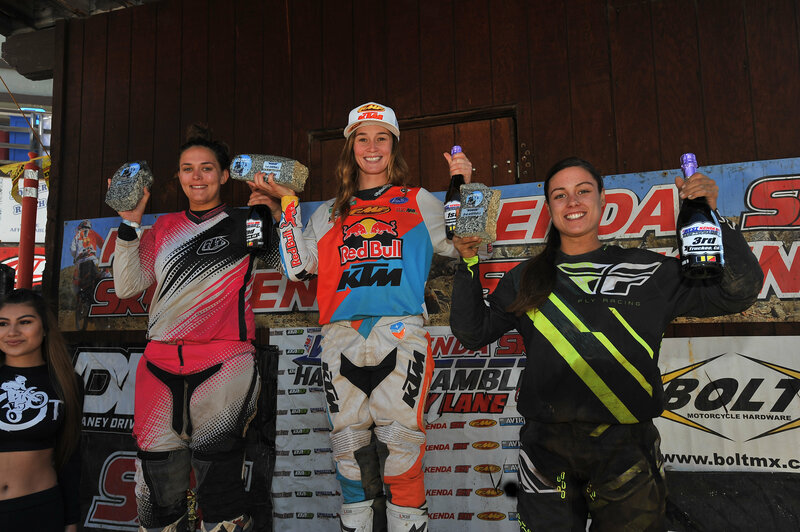 The Women’s podium saw Kacy Martinez in 1st with Brianna Vinsenhaler in 2nd and Sharon Mowell in 3rd. PRO 250: Fresh off of the start for the Pro 250 class, SRT backed JT Baker and Cole Conatser proved their skill while having a hole shot battle off of the downhill start and into the sharp right hand turn. Conatser secured the hole shot and tried to gain a nice lead but Baker was back to battle in no time. Baker and Clayton Gerstner were coming out of the pits and into the scoring shoot within seconds of each other when Gerstner won the battle and held 1st place position for 3 laps. 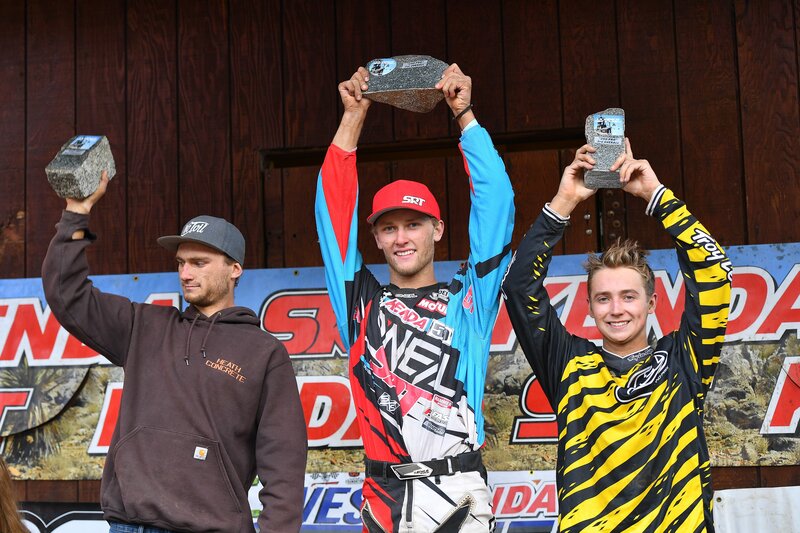 JT Baker came out of this battle on top, with Clayton Gerstner in 2nd and Cole Conatser in 3rd. PRO: With such a heavy line of Pro’s for the last race of the weekend, race fans were anxious for the outcome to say the very least. 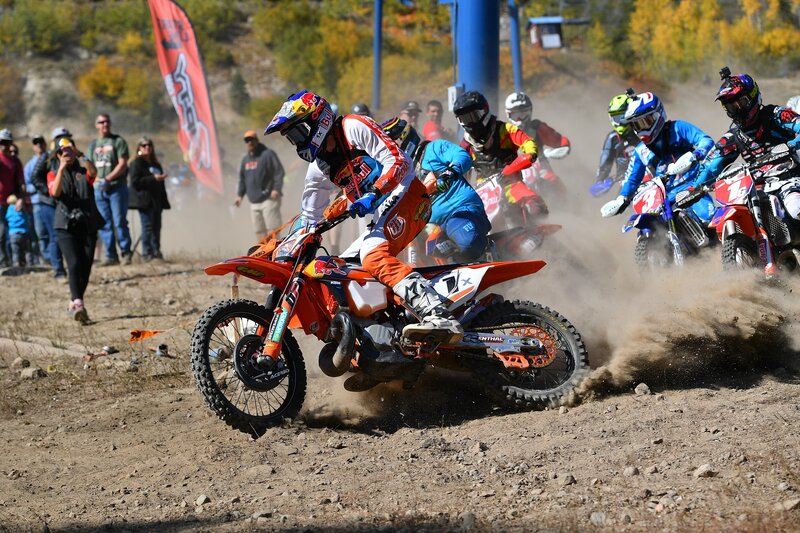 As the green flag was waved signaling riders off of the line, FMF KTM Factory rider Cody Webb seemed to have the lead secure. Webb went down after he lost stability in the sharp right hand turn, allowing Anson Maloney to take the hole shot. However, Factory Beta rider Max Gerston was the first to come off of lap 1, with Webb only 5 seconds behind. Due to bike difficulties, Webb’s race came to an end after coming through the pits off of lap 2. Gaining time on the leader, SRT backed Trystan Hart and Gas Gas backed Joey Fiasconaro swapped between 2nd and 3rd. It was not long before Hart picked up speed on Gerston and took over the lead, pushing Gerston to 2nd place. Meanwhile, Purvines DA8 Racing backed Axel Pearson fought his way from 9th place to 4th place behind Joey Fiasconaro in 3rd. The Pro podium saw a win from Trystan Hart, with Max Gerston in 2nd and Joey Fiasconaro in 3rd. District 36 and Garrahan Off-Road Training could not have put on a better event at the Donner Ski Ranch. Spectators and racers attended a race that was well worth any drive. 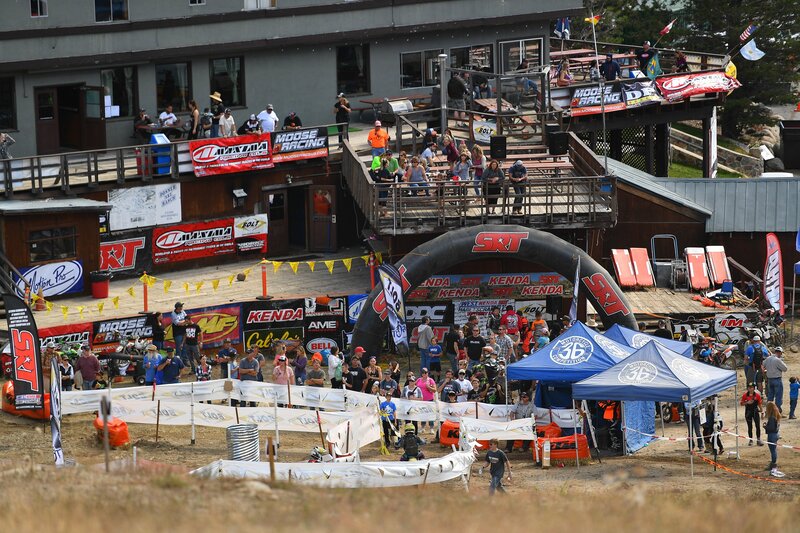 With beautiful scenery, technical terrain, and plenty of spectator area, race fans do nothing but look forward to the next Donner Hare Scramble!